The Winterthur Library Revealed: Five Centuries of Design and Inspiration showcases the library, a world-renowned repository of material that tells us much about American art, history, and material culture. With books, manuscripts, drawings, photographs, and printed ephemera paired with objects from the museum collection, this exhibition demonstrates how the library’s rich resources, which cover a period of five centuries, contribute significantly to the identification and interpretation of the decorative arts. The exhibition, originally on display in the Winterthur Galleries in 2004, was curated by Jeanne Solensky, Bert Denker, Richard McKinstry, and Neville Thompson in the Library, and Lois Olcott Price in Conservation. A modified version of this exhibition opened at the Grolier Club in New York City in December 2003. Opened in 1952, the Winterthur Library has its origins in the personal library of the du Pont family collection of books. When the du Ponts came to America in 1800, they wanted to continue the country estate life they had known in their native France. 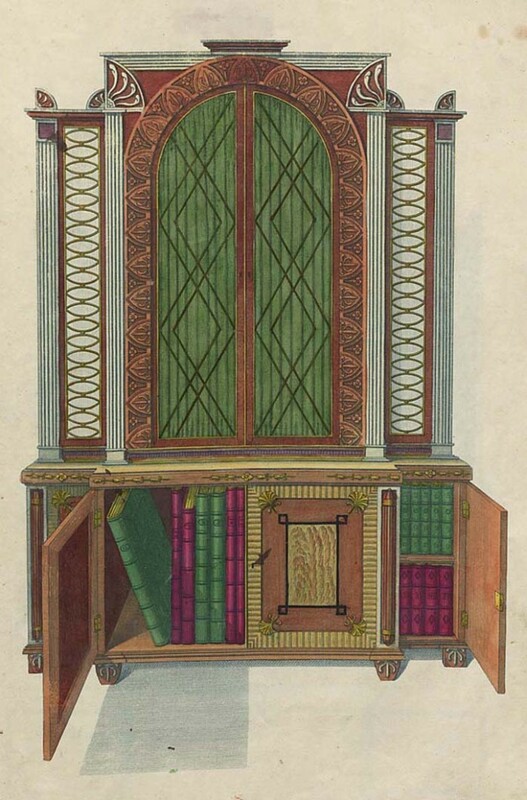 Designating a room in their home as a library was an essential step in creating a country house, and the du Pont family’s extensive and wide-ranging holding of books was typical for country-house owners. 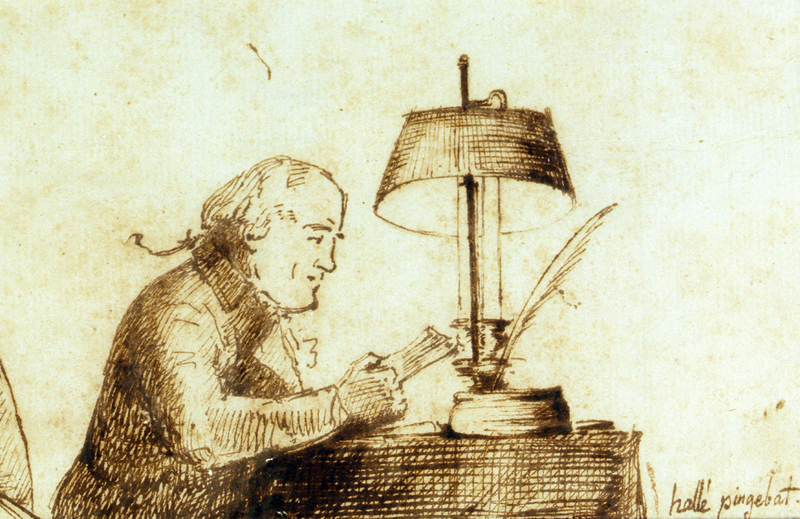 The mostly French-language volumes included classical works, memoirs, atlases, novels, and works on architecture, art, history, travel, science, genealogy, agriculture, horticulture, and animal-breeding, the latter subjects reflecting their long interest in the land and their need to manage and cultivate the farms on their estate. Over time, as the family put down roots in America, their library evolved into a predominantly English-language collection. Pierre Samuel du Pont, the family patriarch, brought many books with him to America from his extensive library in France. By 1817, the year that he died, his holdings numbered nearly 8,000 volumes, making it one of the largest libraries in America at the time. 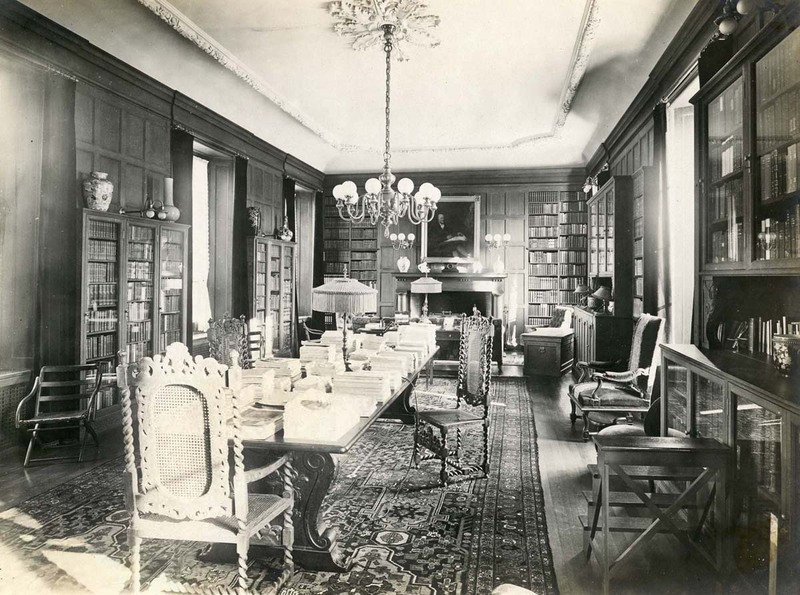 That early collection formed the foundation for the family library, which occupied a room at Winterthur now referred to as Memorial Library. Today the Winterthur Library contains books that span six generations of the du Pont family and stands at the heart of Winterthur’s mission to inspire, enlighten, and delight all its visitors.